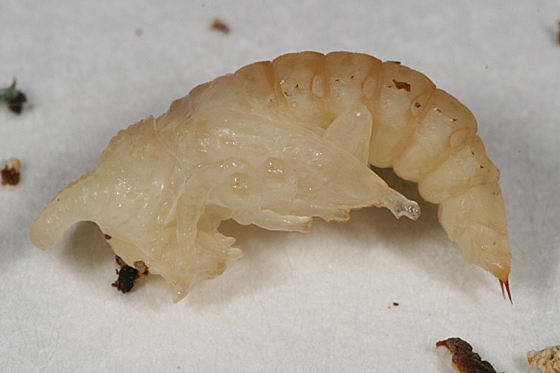 I was able to rear 2 of these larvae, and today (4-6-06) I found this one in the pupal stage. No mistaking that pupa's ID and gender. That is an absolutely distictive shape. Great work, Tom!